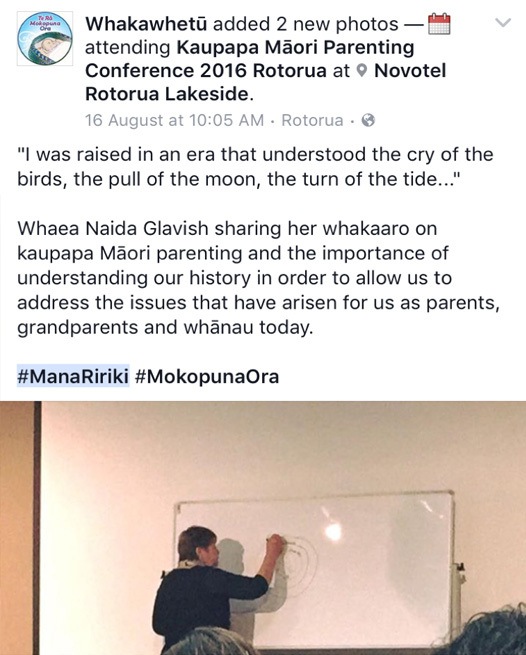 The Mana Ririki Kaupapa Māori Parenting Conference was held at the Lakeside Novotel Rotorua on the 16th/ 17th August, 2016. It was a most successful event. The conference planning began in April, 2015 and with the support of promised Tindall Foundation funding, by November was a definite possibility. The Mana Ririki Board wanted our brand with its focus on strengths-based strategies for protecting and promoting tamariki to expand nationally. The theme of the conference was a discussion about what kaupapa Māori is and to “explore how cultural strategies for parenting have expanded in number and ingenuity to empower whānau, to raise their tamariki with the violence free, loving and nurturing ways of our tipuna.” Empowerment of whānau was the goal rather than a focus on negativity. 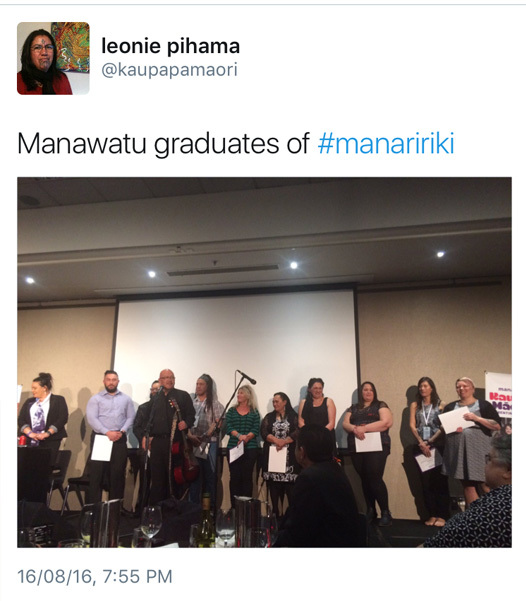 The conference of 200 was very well attended indicating the interest in this kaupapa. These outcomes and the delegates’ outcomes were reached according to our retrospective feedback survey. 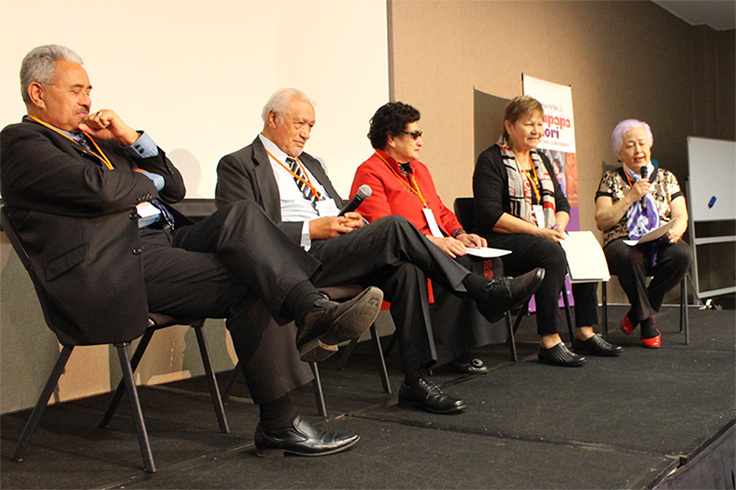 The speakers were on theme and the Poari Panel of the Mana Ririki Board members added the depth of senior Māori leaders’ years of experience. The presentations of Kaupapa Māori parenting programmes were enlightening and relevant. The strategies used with whānau to empower themselves and their tamariki were inspiring. These included nurturing brain development in the early years, helping teens manage parenting, and helping teens in corrections residences to adopt violence free parenting and relationships in and out of residences. Board members: Dame June Mariu; Sir Toby Curtis; Sir Taihakurei Durie (absent); Naida Glavish ONZM JP; Hori Awa MNZM. Conference entertainers: Maisey Rika, Rob Ruha. A number of new ideas and initiatives were introduced as part of this year’s conference. These were begun by the Honorable Minister of Māori Development Te Ururoa Flavell’s opening speech which contained the directive that it was imperative the conference provide him with recommendations on the way forward for Maori leadership in the delivery of social services to whānau. In a concluding plenary session, key issues were identified by a wide cross section of the delegates and were summarised into ten core focal points, concluding with an overarching recommendation as the Minister directed. 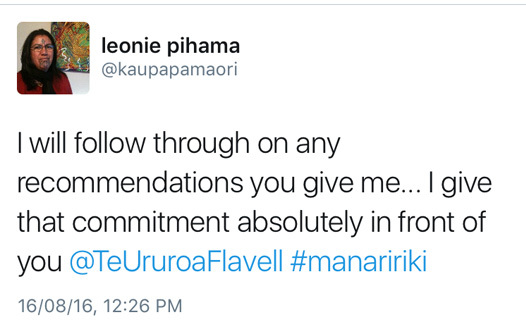 The recommendation by the board of Te Kāhui Mana Ririki, in response to the directive of the Honourable Te Ururoa Flavell, recommends that the Minister create a working party to establish a leading Māori role within the Ministry for Vulnerable Children, Oranga Tamariki, to guarantee that appropriate prominence is given to the authentic whānau elements of Oranga Tamariki. The Minister gave his utmost commitment to follow up any recommendations the Conference might make. Māori Rangatiratanga – that Māori lead and drive the initiatives required to resolve the root causes of the problems that affect Māori whānau Kaupapa Maori research evidence supports the necessity for government to put Māori at the forefront of policy development in the social sector. Resources – that there be substantial investment applied to address the impediments to the growth of Māori rangatiratanga. Whānau – have available strong, culturally inclusive programmes that weave together traditional and contemporary circles of successful whanau relationships. Tamariki – are ataahua and have Tūrangawaewae. Identity – is underpinned by a secure Māori identity at the heart of all endeavours. Capacity and capability – results in the emergence of competent and skilled Māori, technically and culturally, in all environments. Accountability – provides improved quality frameworks for achieving whānau well-being. Historical intergenerational trauma – is acknowledged within communities along with the importance of healing. Kaupapa Māori – by Māori, of Māori, for Māori seeks Māori solutions to present day Māori problems. 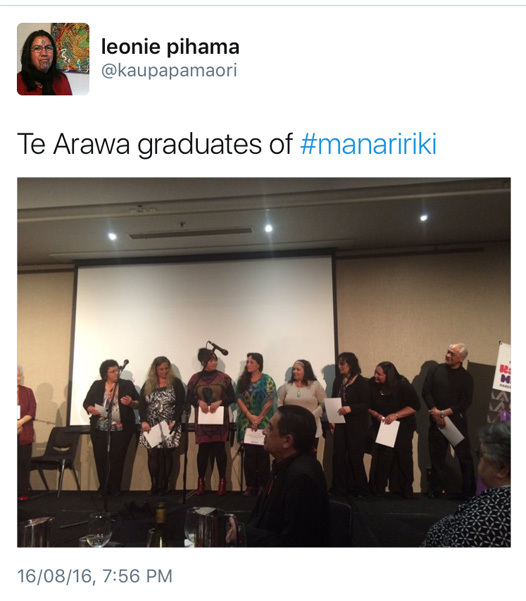 Mana Ririki saw this conference as an opportunity to promote the organisation The graduation of some of the accredited Kaiwhakamana of Tikanga Ririki was an acknowledgement of the accreditation process of the Tikanga Ririki programme. The 190 delegates included Māori providers, government and non-Maori health & social service providers, Māori health specialists, policy makers, health professionals, community members, tertiary students, as well as general practitioners from New Zealand and the United States. 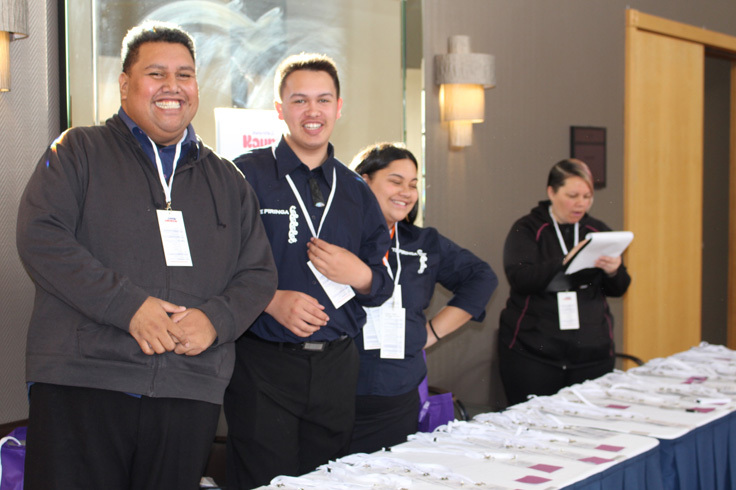 Approximately 95% of the delegates represented the Māori health and social service workforce sector. Presentations covered topics such as: the perspectives and tools for measuring the success of kaupapa Māori parenting initiatives. The conference also helped to support collaboration within the Māori health and education sectors as well as encourage multi-disciplinary and multi- sectoral linkages. This was achieved not only through conference proceedings, but also through the majority of the delegates attending the conference social event. 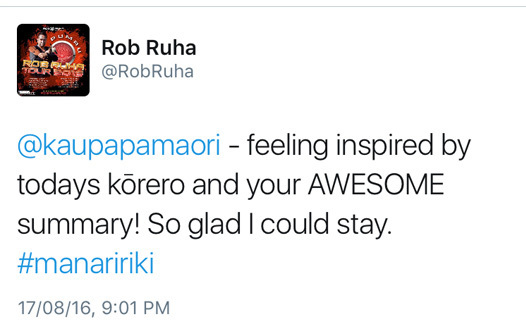 The high profile Māori entertainers Rob Ruha and Maisey Rika shared their combined personal positive parenting kōrero and waiata at the dinner. Specifically, the Conference programme addressed leading practical approaches based on the neuroscience of child and teen development and kaupapa Māori beliefs and practices. These provided an opportunity for speakers and presenters to discuss and challenge some current practices and discuss emerging tools and techniques to drive continuous improvement in outcomes for Māori whānau. in which indigenous practitioners, educators, students and community members could share, in an indigenous space, their experiences about workforce development, innovations in the field and strategies for the future. The Tindall Foundation – Endless thanks to the Tindall Foundation for supporting us. Cliff Curtis – Arama Pictures Rotorua A special thank you to Cliff Curtis and his wife for attending our conference to tautoko our kaupapa. Whakawhetu – Whakawhetu’s generosity must also be acknowledged and we thank them. Te Puni Kokiri – Te Puni Kokiri’s sponsorship was a demonstration of its support for Māori whānau caring for their tamariki. We thank them for their considered generosity. Naida Glavish, Ngati Whatua. ONZM, JP. Dr. Annette Squetimkin-Anquoe, the Sanpoli Lake tribes, Seattle, USA. Dr Will Edwards, Ngatiruahine, Taranaki. Associate-Professor, Denise Wilson, Tainui. AUT. 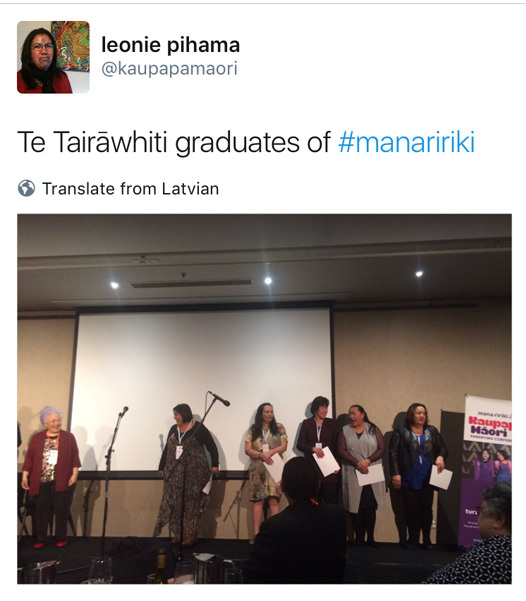 Associate-Professor Leonie Pihama, Ātiawa, Tainui. Naida Glavish described the pathway forward for Māori to fulfill their potential by going back to the beginning to the fundamental matauranga of the tipuna. Annette Squetimkin-Anquoe explained the beliefs and history of her Native American people in and around Seattle, USA. Their journey has been long and bloody and her work takes people back to their traditional practices to improve their wellbeing. Dr Will Edwards presented the possibility of living in papakainga as a way to recapture and relive the lives of tipuna i nga wa o mua. 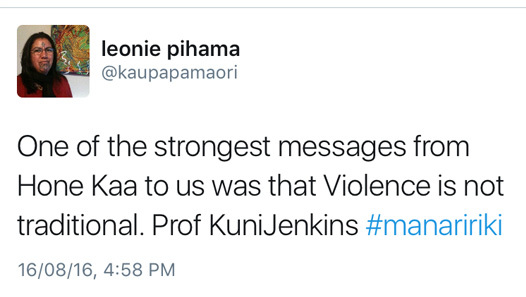 Associate Professor Denise Wilson proposed a reframing of the violence prevalent in Māori whānau where the whakapapa of the intergenerational abuse and deaths of Māori adults and tamariki has the wrong focus. She concluded that the focus should shift from asking the victims how they were keeping themselves safe to working with the offenders to stop their violence. Her last thought was that violence on a partner was essentially, a parenting decision. Associate Professor Leonie Pihama incisively captured the essence of each speech and posed the thought that the word ’parenting’ might not have the same meaning for Maori as for non-Māori. Her aim was to move past the colonised thoughts we have been brought up with to our traditional whānau, non-violent beliefs and practices. 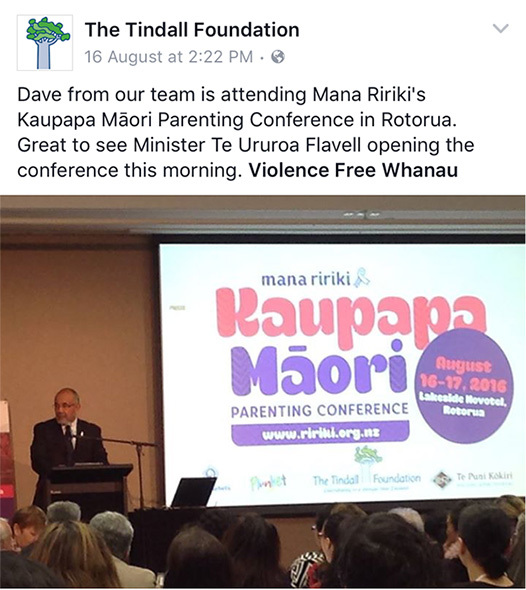 The Conference provided an opportunity for those engaged in working with Māori whānau to network and to learn about and connect with organisations providing non-violent parenting interventions. Unfortunately, the Mauri Tau presenters were ill and Wetini Mitai could not attend because of an overseas work clash. 23 of the 42 Kaiwhakamana attended the conference and were awarded their certificates signifying their successful completion of the Tikanga Ririki Accreditation Course. 90% of you rated the quality of conference as High to very high quality. 75% of you thought that the conference was very to extremely to well organised. 80% thought that the conference was about right? 90% of you rated the conference as very good to excellent. Naida Glavish, Cliff Curtis, Dr Will Edwards, Assoc Profs Denise Wilson & Leonie Pihama were the speakers you were most interested in listening to. Day 1Programmes: 70% thought Tikanga Ririki, 50% thought Te Haakorotanga and 40% thought Hoki ki Te Rito workshops were relevant to their mahi. 70% thought that Tikanga Ririki could be adopted in their organisation, 50% thought Te Haakorotanga and 30% Hoki ki Te Rito. 80% thought The Brainwave Trust, 50% thought the Teen Parents information and 60% thought that the CYFs Te Aurere work was most relevant to your work. 70% thought the Brainwave Trust, 30% Teen parents and 50% CYFs Te Aurere Tikanga Ririki could be adopted within your organisation? Overall, 99% rated MC Mātai Smith as very good to excellent. Overall, 90% rated the dinner entertainers Rob Ruha and Maisey Rika as very good to excellent. 90% rated the venue of the conference as above average to excellent. 60% were at the conference for a work related reason, 55% for the conference content, 50% were there for networking, 48% for personal growth, 35% were there for the speakers. 30% rated the food of the conference as excellent, 29% above average, and 33% as average. 72% said the conference fulfilled your reason for attending the conference, 20% thought not so much to moderately. 85% thought the speakers the most beneficial aspect of the conference; 55% thought the content, 50% networking, 50% the presentations, 35% the discussions, 10% the written material. 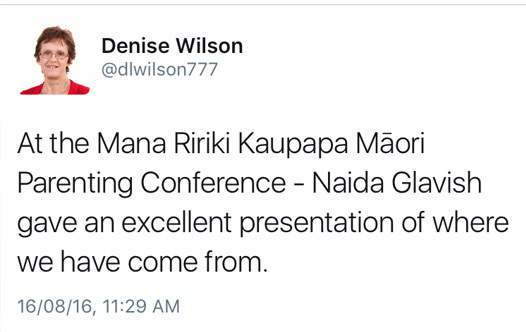 60% said the Mana Ririki Conference should take place annually, 40% thought biennially. 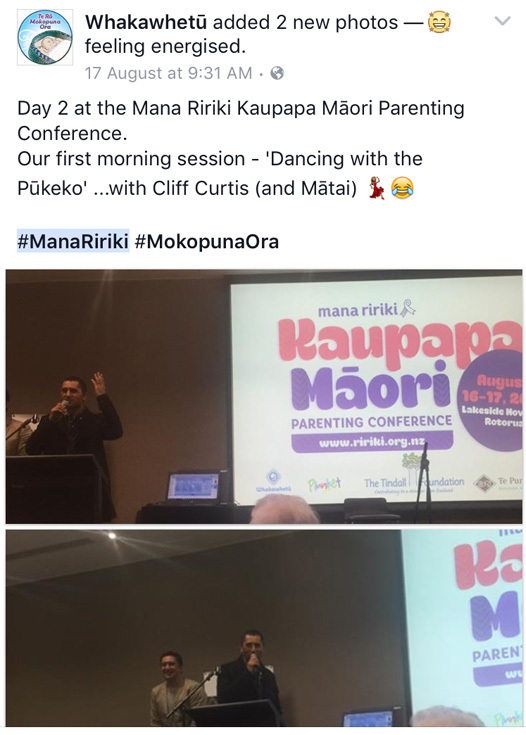 The Mana Ririki Kaupapa Māori Parenting conference 2016 received positive support coverage by academics and community people all over social media throughout the duration of the conference. This evidence supports the evaluation feedback received on how successful the conference was. Some of the Powerpoint notes used by conference presenters are available for download here. Dr Will Edwards is an inaugural Director of Taumata Associates, a Māori public health and development consultancy based in South Taranaki. He was previously based with the Research Centre for Māori Health and Development, Massey University. His interests are in the localisation of the interface between Māori knowledge and Western science to underpin community health research, lifecourse research and father involvement. Will is Chair of Te Korowai o Ngāruahine (the post-settlement governance entity for Ngāruahine iwi), a Trustee for Tāngahoe Tribal Trust, a Trustee for Te Kupenga Mātauranga o Taranaki, and a Board member of Te Reo o Taranaki. 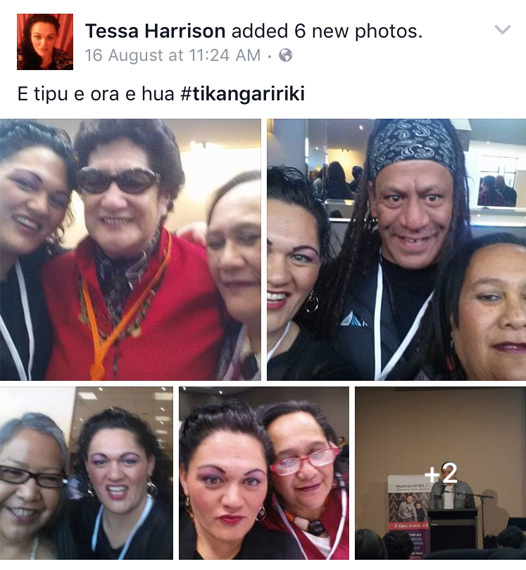 He was formerly a member of the Tai Hauauru Whānau Ora Regional Leadership Group. In 2006 Will and his wife relocated to Taranaki to work with his whānau to establish a reo-Māori immersion papakāinga. Will works with Taranaki Māori communities to strengthen research capacity to inform decision-making. This power point is about interventions to support kaupapa Māori parenting – papakāinga living, whānau development and father involvement. Māori communities understand the need to invest in nurturing tamariki as the future of te iwi Māori. Evidence shows that influences in childhood matter greatly in terms of how a person fares later in life and quality early life interventions are one of the best investments a society can make. This presentation focusses on interventions to support kaupapa Māori parenting – papakāinga living, whānau development oriented ECE, and father involvement. In a globalised Māori reality, shaped by forces such as neolibralism that oppose fundamental Māori notions (such as collectivity), how do we as iwi and communities support day-to-day whānau-centred living. Papakāinga recreate a place of whānau revitalisation where Māori norms take precedence, and respond to the maxim ‘It takes a village to raise a child’. But what does papakāinga-based living look like in today’s world? Whānau development oriented ECE is exemplified at Te Kōpae Piripono (TKP), a Taranaki Māori immersion ECE. Among other things, TKP instils use of a kaupapa Māori conflict management process that guides the way that all whānau members interact. Increasing Māori fathers’ engagement in the lives of their tamariki is critical, given that father involvement has a major impact on child development and lifecourse outcomes. Contemporary Māori fathering is shaped by a complex interplay of factors (e.g. colonisation, culture, employment) that restrict or enable men to do the best by their tamariki and whānau. To focus efforts we need to understand the contemporary meaning of Māori fathering, what the issues are from fathers perspectives, and how this knowledge can be applied through best practice intervention. Background: Prior to settlement and colonisation of Aotearoa, Māori women and children held important roles in whakapapa and whānau. Yet, today Māori are over-represented in whānau violence prevalence and deaths including tamariki Māori (children). The Family Violence Death Review Committee (FVDRC), under the auspices of the Health Quality and Safety Commission reviews family (whānau) violence deaths in Aotearoa, and conducts in-depth regional reviews for selected deaths. Aim: Describe the status of family violence in Aotearoa, particularly for Māori, and explain learnings from whānau violence death reviews necessary for eliminating child abuse for tamariki Māori, and creating violence-free whānau. Method: Family violence death review findings will be presented, emphasising the conceptual shifts required about family violence in Aotearoa drawing on the FVDRC’s 5th Report released this year. Results: Māori are over-represented in deaths related to child abuse and neglect, and interpersonal and intrafamilial violence. Whānau violence involves an offenders’ deliberate acts of violence, along with long-term patterns of coercive control and entrapment – safety for children is contingent on offenders’ violence being effectively curtailed. Because of the coercive control and entrapment, victims lack the necessary autonomy and agency to be empowered – they need practical help to be safe. Conclusion: For change to occur, shifts in how practitioners and agencies think about and approach whānau violence are required.